We usually don’t cover spy shots of vehicles that have already made their official debuts, but we’re willing to make an excepting for this beauty. 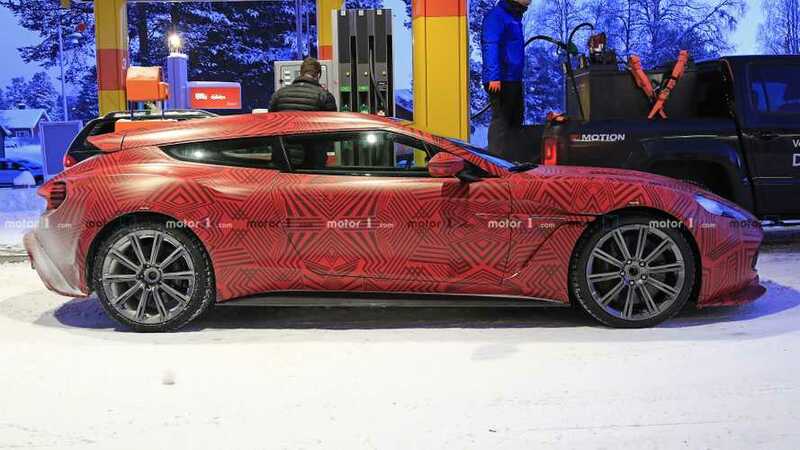 Known by its full name as the Aston Martin Vanquish Zagato Shooting Brake, the lovely two-door wagon debuted way back in August 2017, so it strikes us as a bit odd to see a camouflaged prototype feeding at a gas station somewhere in southern Europe. Like two other Vanquish S-based Zagatos, the equally lovely Coupe and Volante, the Shooting Brake is limited to 99 examples. There’s also a more exclusive Speedster capped at 28 units. As you are probably aware by now, there’s a lucky guy out there who owns the complete quartet. But why was Aston Martin testing a car it revealed roughly a year and a half ago? Your guess is as good as ours, although it might have something to do with the switch to the Worldwide Harmonised Light Vehicle Test Procedure. Carrying U.K. plates but with a left-hand-drive configuration, the red-hot prototype has only two of the four exhaust pipes, which might be related to AM’s engineers fiddling with the shooting brake’s emissions. 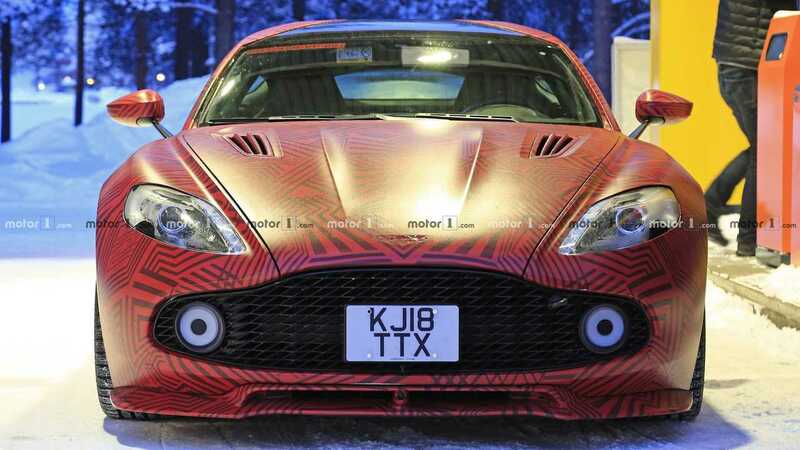 Even though the car was revealed back in the days of the New European Driving Cycle (NEDC), one plausible scenario is that Aston Martin has not delivered all cars, so the remaining ones have to comply with the stricter WLTP regime. That would make sense since production of the shooting brake didn’t start until at some point in 2018, despite the aforementioned August 2017 reveal. Whatever the reason is, we’re happy our spies were in the right place at the right time to immortalize this beauty. All 325 Vanquish models designed by Zagato share a naturally aspirated V12 engine packing 580 horsepower, so these cars are a happy case of when beauty meets muscle. You can’t buy one as all four flavors of the Vanquish S have long been sold out.